Depending on where you live, you probably see spiders starting to emerge from their hiding spots at some point in the summer. By fall, they tend to be fairly active because they’re seeking warmth – which is why you may find yourself suddenly face to face with an eight-legged visitor some night when you get up to use the bathroom. Don’t panic, though – most spiders are harmless, and people have learned to co-exist with them for thousands of years. Nearly all cultures have some sort of spider mythology, and folktales about these crawly creatures abound! Hopi (Native American): In the Hopi creation story, Spider Woman is the goddess of the earth. Together with Tawa, the sun god, she creates the first living beings. Eventually, the two of them create First Man and First Woman – Tawa conceptualizes them while Spider Woman molds them from clay. Greece: According to Greek legend, there was once a woman named Arachne who bragged that she was the best weaver around. This didn’t sit well with Athena, who was sure her own work was better. After a contest, Athena saw that Arachne’s work was indeed of higher quality, so she angrily destroyed it. Despondent, Arachne hanged herself, but Athena stepped in and turned the rope into a cobweb, and Arachne into a spider. Now Arachne can weave her lovely tapestries forever, and her name is where we get the word arachnid. Africa: In West Africa, the spider is portrayed as a trickster god, much like Coyote in the Native American stories. Called Anansi, he is forever stirring up mischief to get the better of other animals. In many stories, he is a god associated with creation, either of wisdom or storytelling. His tales were part of a rich oral tradition and found their way to Jamaica and the Caribbean by way of the slave trade. Today, Anansi stories still appear in Africa. Cherokee (Native American): A popular Cherokee tale credits Grandmother Spider with bringing light to the world. According to legend, in the early times, everything was dark and no one could see at all because the sun was on the other side of the world. The animals agreed that someone must go and steal some light and bring the sun back so people could see. Possum and Buzzard both gave it a shot, but failed – and ended up with a burned tail and burned feathers, respectively. Finally, Grandmother Spider said she would try to capture the light. She made a bowl of clay, and using her eight legs, rolled it to where the sun sat, weaving a web as she traveled. Gently, she took the sun and placed it in the clay bowl, and rolled it home, following her web. She traveled from east to west, bringing light with her as she came, and brought the sun to the people. Celtic: Sharon Sinn of Living Library Blog says that in Celtic myth, the spider was typically a beneficial creature. 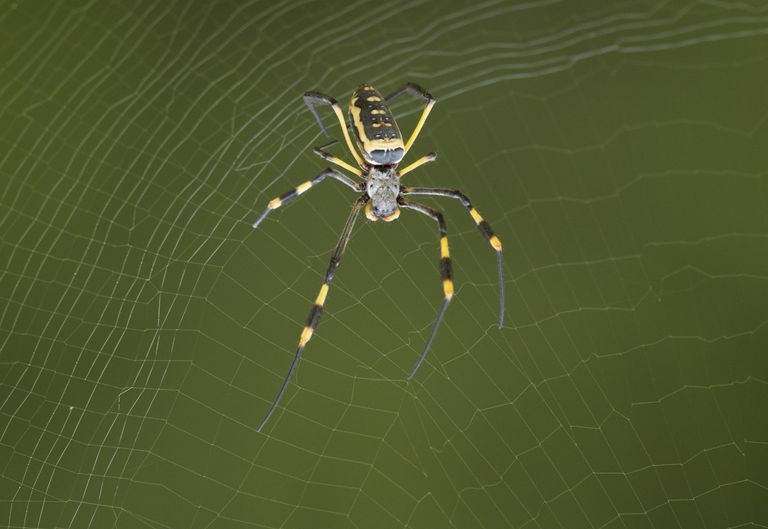 She explains that the spider also has ties to the spinning loom and weaving, and suggests that this indicates an older, goddess-focused connection that has not been fully explored. The goddess Arianrhod is sometimes associated with spiders, in her role as a weaver of mankind's fate. In several cultures, spiders are credited with saving the lives of great leaders. In the Torah, there is a story of David, who would later become King of Israel, being pursued by soldiers sent by King Saul. David hid in a cave, and a spider crawled in and built a huge web across the entrance. When the soldiers saw the cave, they didn’t bother to search it – after all, no one could be hiding inside it if the spider web was undisturbed. A parallel story appears in the life of the prophet Mohammed, who hid in a cave when fleeing his enemies. A giant tree sprouted in front of the cave, and a spider built a web between the cave and the tree, with similar results. Some parts of the world see the spider as a negative and malevolent being. In Taranto, Italy, during the seventeenth century, a number of people fell victim to a strange malady which became known as Tarantism, attributed to being bitten by a spider. Those afflicted were seen to dance frenetically for days at a time. It’s been suggested that this was actually a psychogenic illness, much like the fits of the accusers in the Salem Witch Trials. If you find a spider roaming around your home, it’s considered bad luck to kill them. From a practical standpoint, they do eat a lot of nuisance insects, so if possible, just let them be or release them outside. Rosemary Ellen Guiley says in her Encyclopedia of Witches, Witchcraft, and Wicca that in some traditions of folk magic, a black spider “eaten between two slices of buttered bread” will imbue a witch with great power. If you’re not interested in eating spiders, some traditions say that catching a spider and carrying it in a silk pouch around your neck will help prevent illness. In some Neopagan traditions, the spider web itself is seen as a symbol of the Goddess and of the creation of life. Incorporate spider webs into meditation or spellwork relating to Goddess energy. An old English folk saying reminds us that if we find a spider on our clothing, it means money is coming our way. In some variations, the spider on the clothes means simply that it’s going to be a good day. Either way, don’t disregard the message!